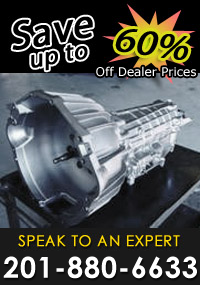 Looking for Audi transmission repair in CT? European Exchange offers professional Audi transmission repair for any year or model. As the Audi transmission specialists in CT, we have the experience and expertise to provide Audi transmission repair, Audi transmission replacements and Audi transmission rebuilds for any number of Audi car models. The transmission is the heart of your car. It is important to have your Audi transmission running in top condition. At European Exchange, we will provide the services that you need in order to get your Audi back in working order. There are several transmissions that can be installed when Audi vehicles are built including multitronic transmissions, S tronic transmissions, tiptronic transmissions and R tronic transmissions. Whether you own an Audi vehicle with a manual transmission or an automatic transmission, our transmission experts are experienced in performing all types of Audi transmission repairs in CT. We guarantee to perform efficient Audi transmission repair in CT for the specific type of transmission found in your vehicle. Do not wait for the transmission of your Audi to malfunction once more before taking it to our transmission shop. For more information about our Audi transmission repair in CT and other transmission services offered, or to speak with one of our Audi transmission experts, call us at 201-880-6633. We look forward to hearing from you!